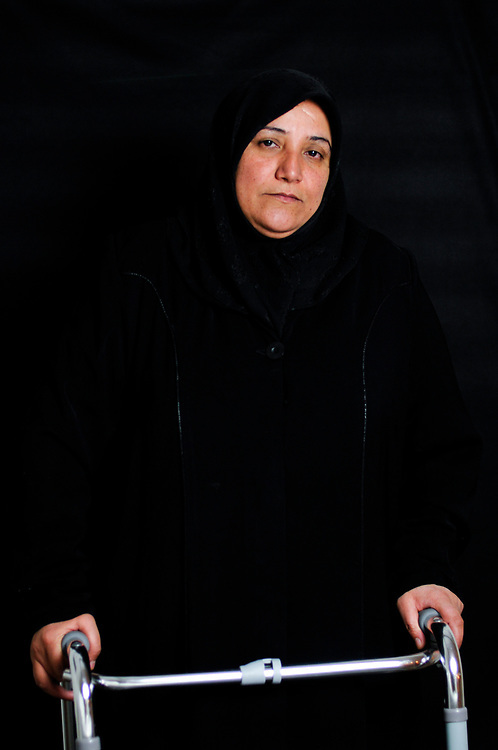 Leila Dier Hassan, 42 years old, from Baghdad, was sleeping on the roof of her home with her family during Iraq's hot summer season when a bomb from fighting between US forces and the Mehdi Army militia landed on her house. Her husband, son and one of her daughters were killed. She received severe injuries to her arm and legs.